The number of coffee pods or capsules thrown into landfills each day is staggering! Biome Bioplastics, a leading developer of natural plastics made from plants is trying to change that. 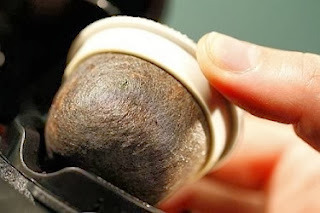 Check out the video to see a compostable coffee pod. In the US alone, 9.1 billion single serve coffee and drink containers end up in the landfill each year. "Single–serve coffee pods are an excellent example of the fundamental role that packaging plays in delivering quality and convenience in the food service sector. The challenge is to reduce environmental impact through packaging optimisation without impacting on food quality or safety, or inconveniencing the customer. Bioplastics are an important part of the solution." Ultimately we should not go down this road of single servings anymore than we should use disposable packaging for our business, but the reality is coffee pods are here and growing like crazy. Rather than generating mountains of new plastic that will be here for thousands of years and use barrels of oil, maybe for now we can switch to a compostable solution. At Viv, we don't sell coffee pods so we bring you this info in the hopes that if you do use them or sell them, do the right thing and insist on compostable pods from your suppliers.